Cocktail bars tend to fall into two categories for me, summed up by the question 'can they make a decent martini?' And I mean a proper martini. Bars which fall into the 'no' category aren't necessarily bad but I don't tend to take them seriously. On my first and second visits to The Alchemist, it landed firmly in the 'no' category, as fun as the place is. My third visit gave a slightly different answer: 'it depends who serves you'. 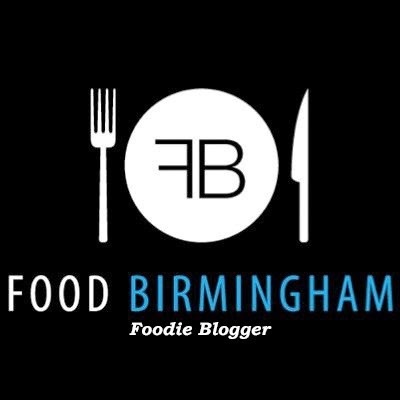 I went along to try their updated menu with a group of Birmingham bloggers and nightlife enthusiasts. Many of their drinks are twists on classics (read: much sweeter) and my first drink was no different. A Rhubarb and Custard Sour (£8.50). Sours are most well-known when made with whisky, but actually can be made with any spirit, egg white and lemon. This version used Chase Rhubarb and Licor 43, a Spanish vanilla liqueur. This had the distinct taste of its namesake but the sharpness and smoothness I expect from a Sour. Next I tried 3.5oz of Happiness (£12.50) one of a few cocktails that arrive in a flask which you can keep. When you return the flask, your refill is £7.50 This drink was made with gin, Chambord, vermouth and 'citrus'. While it was sharp and had a good alcohol kick, I would have preferred it stirred and strained into a chilled coupe. My eye had been caught by the pretty White Cosmo (£8.25) as a coupe glass is my favourite way to drink a cocktail. It also had a beautiful ice ball with flower petals frozen within. The drink was vodka, elderflower, Cointreau and lime; a rather drinkable drink and one I'll have again. The evening got a bit silly when I started talking excitedly about Negronis with one of the friendly bar tenders. I'd decided to order the Barrel Aged Negroni (£10) which is pre-made and kept in a barrel. The Alchemist are a busy night life spot rather than a cocktail snob's haven so speed and drama is key and a Negroni takes a while. So a drink that can be just poured out of a barrel (and has a nice depth of flavour) works well for them. He decided I should also try the Banananegroni (£8.25) a lighter version made with Aperol instead of Campari and with banana vermouth (I think). It's lighter and easier to drink but still packs a punch. It only seemed right to have a traditional Negroni too. It was interesting to try all three together. Looking past some of the more gimmicky cocktails on the menu, there's some good stuff for cocktail fans to try.